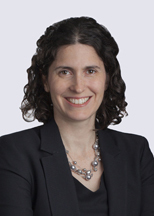 Meghan Covino focuses her practice on employment-based immigration. She successfully represents national and international companies in obtaining authorization for employees to work temporarily and permanently in the United States. Represents Canadian and U.S.-affiliated companies at the Detroit border in obtaining work authorization for Canadian employees to work in the U.S.
Is Your Company Ready for a Form I-9 Inspection?